Online dating for single women can be a lot of fun but, it comes with a lot of risk from bad seeds- men who are looking to take advantage of others and relationships with too much baggage are definite concerns. It's critical for women to inform themselves about men before they agree to a first date. Date confidently and safely with dateability scores from Undolus.com. Women love to be in love and don’t like the idea of coldly checking up on a man. Combining reviews that we collect and adding them to background research we do, allows a woman to date with more confidence without feeling like a stalker. "Stranger dating" is more the norm than ever before, with online dating sites and social media weighing heavily on people's lives. The days of getting "the scoop" on a potential love interest prior to a first date are long gone. But, finding out if someone is genuinely who he represents himself to be is just as important as ever, before investing time and effort into dating him. But, what's a woman to do? Undolus is the answer. Undolus is a new website, launched March 14, 2016, that provides women the opportunity to dive into a new beau's background through various investigative techniques and obtain invaluable, firsthand knowledge from women who actually know him. The site combines the data found during background checks and public records searches with reviews about a man's character to establish a dateability score that will conveniently give women the details they need to know to confidently move forward in the dating world. The site premieres as the first of its kind online. Founders (and attorneys) Kala Spigarelli-Kido and Angela Spigarelli have both been in the dating trenches and witnessed the consequences of big dating mistakes. "We began thinking of the idea one day at lunch. We were talking about two women we knew in town who didn’t know each other and who had identical bad experiences with the same guy. We thought if only there were a way for these women to have known this guy’s story before they wasted their time and energy and opened up their hearts. We joked that surely there was a site out there like that. We did some preliminary research and didn’t find anything," explained the partners, who also happen to be sisters. "After this, the concept of Undolus was on our minds constantly, and we knew we had to put the wheels in motion to develop it." Today's women have successful careers. They are mothers. They own homes and have assets. Not only are they at risk of giving their hearts away to unworthy suitors, but they are also vulnerable to losing or harming other things they have worked hard for, too. Even though dating can be a lot of fun, it's chocked full of uncertainty, risk and unforeseen situations. And, while the beginning of a relationship can be exciting due to the mystery that surrounds a love interest, it can be doomed for failure from the very start due to deal-breaker details. "Women love to be in love and don’t like the idea of coldly checking up on a man. 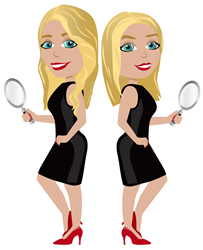 Combining reviews that we collect and adding them to background research we do, allows a woman to date with more confidence without feeling like a stalker or as though she's untrusting because she leaves all the investigating and question asking to us," explained the founders. Undolus helps women detect issues before squandering time on an individual who is clearly not worth their efforts. A dateability score that reveals public record information, details from investigative background checks and character reviews from other women who know him. Discretion and reassurance during the search process, as it's common to feel uneasy investigating someone you like. Private anonymous chat access among users who opt in to being contacted by other women. Access to demographic-appropriate dating articles and advice. Opportunity to review gentlemen you've had the pleasure (or misfortune) of meeting. A sense of community with other like-minded women who want to date confidently and securely. Unlike dating sites found all over the Internet, Undolus is not going to find women a mate. It's not a foolproof method of dating, nor is it intended to steer her toward compatibility. But, the process will arm a woman with useful information she can use to make wise and safe choices to confidently pursue love (or lust! ), all while knowing that someone has her back!